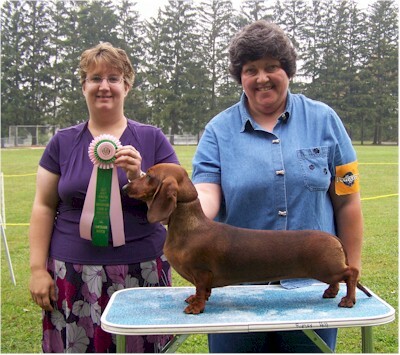 Molly won Best Puppy in Match at the Dachshund Club of Greater Syracuse AKC Sanctioned Specialty Match held on Sept 21, 2008. Terri Frenia judging. Molly just finished her first couple of shows. She is still learning how to manage the show ring with finesse and grace. Watch for her soon.